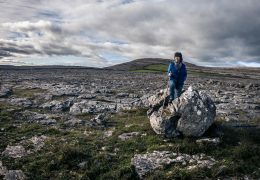 Join Cathleen Connole on an early morning guided cycling tour through the heart of the Burren and be rewarded by a delicious mouth-watering breakfast at Burren Fine Wine & Food. You will start your journey at 7.30am and peacefully pedal through the Burren’s spectacular landscape! Cycling to the top of the Corkscrew Hill will give amazing views of the valley and Galway Bay. Then its coasting down to Burren Fine Wine and Food and greeted with aromas of freshly brewed coffee and home baking. You can choose a breakfast of fresh free-range eggs from a neighbouring farm and hot scones straight from our oven or an Organic Smoked Salmon Bagel using salmon from the Burren Smokehouse and bagels from New Quay. 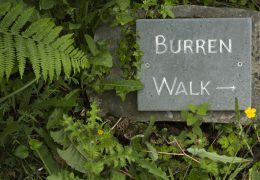 Burren Fine Wine & Food is ideally situated for further exploration of the Burren either on foot or by bike. If you are availing of the morning bike hire you may drop the bike back to us. If using your own bike you are welcome to lock it up and leave it at Burren Fine Wine while you explore the Burren on foot. Burren Fine Wine & Food is situated at the bottom of Corkscrew Hill, two miles from the village of Ballyvaughan, Co. Clare. 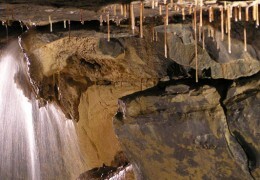 Galway City is an hour drive to the north and Limerick and Shannon Airport just an hour to the south.